Generously proportioned, our new Soho Galena Large Oval Cutting Board, makes a stunning presentation. 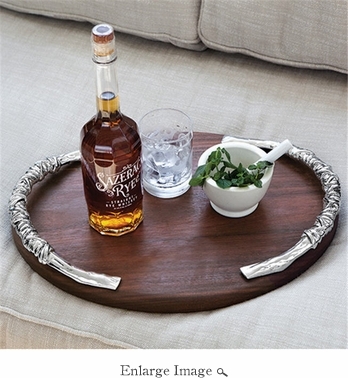 With its textured handles, dramatic styling, and rich surface of polished wood, it enhances anything you serve on it. Featuring metal handles resembling strips of bound leather, the oval cutting board looks great in any setting. Pair with any of our SOHO Galena items for a great set.